The Old Harbour Bay Circuit of Baptist Churches, which includes the Old Harbour Bay, Hartlands and the Old Harbour Baptist Baptist Churches, is one of 17 circuits that are members of the St. Catherine Baptist Association (SACABA), which consists of about 51 churches. 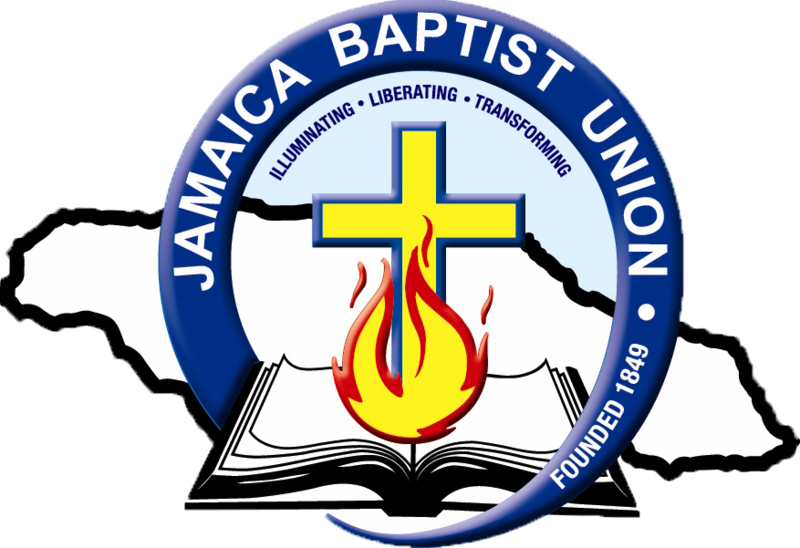 SACABA is one of the 13 associations of the Jamaica Baptist Union. The Old Harbour Bay Circuit has its Headquarters in Old Harbour Bay, which has been the host of the SACABA Annual Convention for over 10 years now. Baptists have two basic things which they share with the peoples of the world Common humanity and Shared Environment.We, like other religious persons in general and like other Christians in particular, differ in our understanding of the origins and purpose of humanity in the environment. This particular understanding and the basis for arriving at such an understanding both allows for and defines Baptist distinctives as well as enabling Baptists to affirm common truths with other persons. Throughout our history, Baptists have sought to be faithful to the truth of the Gospel and to pattern the Church on the principles of fellowship found in the New Testament. However, as there has been nearly twenty centuries since the founding of the first Christian congregations and with the accompanying additions over the years, there are points at which Baptists both agree and disagree with other Christians. Baptists principles as stated below are therefore to be more accurately viewed as a Baptist understanding of the Christian faith. In One God who is the Source, Creator and Sustainer of all things.Though there is one God, this God has revealed himself as Three Persons - Father, Son and the Holy Spirit - who are individually and together God. That the Bible (Old and New Testament) is the Word of God,and therefore authoritative, complete and sufficient for faith and practice. Salvation is that fact and act of God's sustaining and creative care for all his creatures but especially human beings, in light of reality and range of sin - that condition of failure and fallenness of creation in relation to God's ideal for it.This Salvation is given by Divine grace alone, to be received of human beings by faith alone, upon turning from sin and turning towards God in obedience. This 'turning' is called repentance and begins the process of change termed 'conversion'. All who receive God's salvation stand, on the basis of their common need, as persons equal before God and therefore also equal with each other. That only believers are members of God's Family-in-Christ, the Church.This Universal Community is the primary, though not the only, place of God's activity in the world, having been chosen and called out of the world for His own purpose. Non-believers, however, as human beings and hence creatures of God, still belong to Him. In the separation of Church and State.We take the view that human beings, as bearers of the image of God, still retain the capacity of choice, thus allowing them to either accept or reject God. Since that capacity is God-given, the corresponding right and responsibility can neither be dictated by religious or by civil authorities. Freedom of opportunity for choice, particularly Spiritual choice, must exist. The Lord's supper is for all whom God has called through Jesus Christ by the Holy Spirit, and is a reminder of the grace, love and mercy of the Triune God and particularly seen in the once-for-all atoning sacrificial death of Jesus Christ.It is a means of grace to those who truly repent and who are in fellowship with their neighbours, serving to increase awareness of, clarify conviction about, and strengthen faith in God, His saving action, and His people. Christian baptism is for those who have been led by the Holy Spirit to repentance towards God and faith in the Lord Jesus Christ.We further believe that baptism is best demonstrated by immersion in water into the name of the Father, the Son, and the Holy Spirit, as this not only reflects the mode predominantly practised in original Christianity, but also symbolizes and safeguards the original meaning of these first Christians. This is that it is a reflection of conversion, the plunging beneath the waters signifying death of the old life of sin, the rising above the waters signifying rising to the new life with Christ. An act of freewill prompted by the grace of God, it nevertheless is the right and duty of all believers following the example of Jesus Christ Himself. The local congregational group of believers is both an expression and embodiment of the Universal Church. Congregational membership then is a privilege given to those who repent and are baptised. These members are together a fellowship of God's people, who meet for worship, discipline, mutual edification, and witness. As such, each member, as a disciple of Jesus Christ, has an ongoing responsibility to bear proper testimony to the Gospel of Jesus Christ in personal worship, in fellowship, in witness, in conduct, and in lifestyle. That God who is the Source of Creation is also its End and Goal.We believe therefore, that all of life and history will be assessed by God, and that each being is and will be accountable to Him. The communities we serve will see the member churches as places of refuge, and where moral, spiritual and community leadership will be sought. The pastor is ultimately responsible and accountable for the overall administration of the pastorate. This involves giving effective leadership towards the proper running of the business of the Pastorate, seeing to it that statutory meetings are held, relevant records are kept, reports are submitted and accountability maintained at all levels. The pastor is directly responsible for the overall worship life of the Pastorate. This includes, administering the sacraments, being personally committed to the faithful preaching of the Word, teaching of the faith and giving leadership in creative and effective liturgical forms and expressions. The pastor is expected to ensure that relevant and adequate preparation is afforded gifted members of the Church/Churches of the Pastorate for participation in the preaching and teaching ministry and for leadership at various levels in the life of the Church/Churches. The pastor is expected to exercise overall consistent and sustained watch care responsibilities in the Pastorate, these include visiting, counselling, comforting, peacemaking, disciplinary and nurturing activities. The pastor is expected to lead the Pastorate in its understanding and vision of the ministry and mission of the Church, both in its immediate and wider contexts. This will also include understanding of the nature of shared relationship that give expression to the life of the Church, denominational affiliation and commitment, parish association and ecumenical participation. The Pastor is expected to be a chief representative of moral and spiritual authority in the Pastorate. This includes being the chief spokesman on the beliefs, regulations, code of ethics and practice of the Church. The Pastor is expected to lead a life that is worthy of faith confessed in the Lordship of Christ and the call to the ordained ministry of the Church of God. Under the guidance and enabling of the Holy Spirit, the pastor is therefore expected to be an example of Christ-likeness in everyway.